The rivers of protesters flowing in the streets of Belgrade were as much a surprise to the world at large as they were to Slobodan Milosevic. Nonviolent Serbians? No less unexpected was the support the government’s opponents received from an institution many regarded as lost in the archives: the Serbian Orthodox Church. Milosevic had rightly counted on the west looking the other way during Serbia’s elections in November — a reward for his having gone along with the program in Dayton — but he took the wrong measure of his own people. Overcoming years of bickering, opposition political groups forged a coalition called Zajedno (Together) and managed to win all but five of November’s municipal elections, including Belgrade. What to do? Government-appointed judges were hurriedly called upon by the ruling party to declare the results invalid. Having tasted victory at the ballot box, voters proved to be less cooperative than the judges. They poured onto the streets, waving everything from protest signs to kitchen aprons, and did this every day — not just a few thousand but in numbers beyond counting. There were days when journalists estimated between 400,000 and half-a-million protesters in Belgrade alone. No less surprising was the Gandhi-like creativity of the demonstrators, who ranged from students to pensioners. Often they threw rotten eggs at government building, among these the headquarters of state television, whose staff had scrupulously ignored the opposition during the elections and now refused to report the street protests. During the evening news broadcast, it became the daily custom for people throughout Belgrade to come to their windows and balconies and make noise — blowing whistles, banging on pots and pans. When street marches were banned for disrupting traffic, the protesters took to their cars, which _really_ disrupted traffic. “Milosevic has created an image of us in the world as a nation of murderers, outlaws and ethnic cleansers. He has disgraced us as a people, but finally it seems the conscience of Serbia is awakening,” said Milorad Stojakovic, one of the egg throwers. Stojakovic lost his state job after expressing support of the demonstrators. A reporter covering the Christmas services in Belgrade heard worshipers express relief that the Church had taken on the Milosevic regime. “This is the first time in years that I went to church for Christmas Eve,” said Momcilo Lukic, holding the hand of his four-year-old daughter Maja. There was a similar scene January 27, the Feast of St. Sava. Carrying bread and salt, traditional symbols of hospitality, Patriarch Pavel led a crowd of an estimated 300,000 people into the heart of Belgrade. Pavle had called for the procession in hopes participants would be allowed to pass through a police cordon that for days blocked students from marching in the center of the capital. After many tense hours, riot police withdrew, opening the way. What the weeks ahead hold for Serbia remain unclear. Milosevic has counted on the police to obey orders. At their hands at least 100 people were injured, among them one of Zajedno’s leaders, Vesna Pesic. But the next day, Milosevic did an about-face, recognizing opposition electoral victories in Belgrade and other Serb cities. The opposition, having much past experience of unkept promises, seems determined to keep public protest going. Jim Forest, a contributing editor of Sojourners, is secretary of the Orthodox Peace Fellowship and editor of its journal, In Communion. 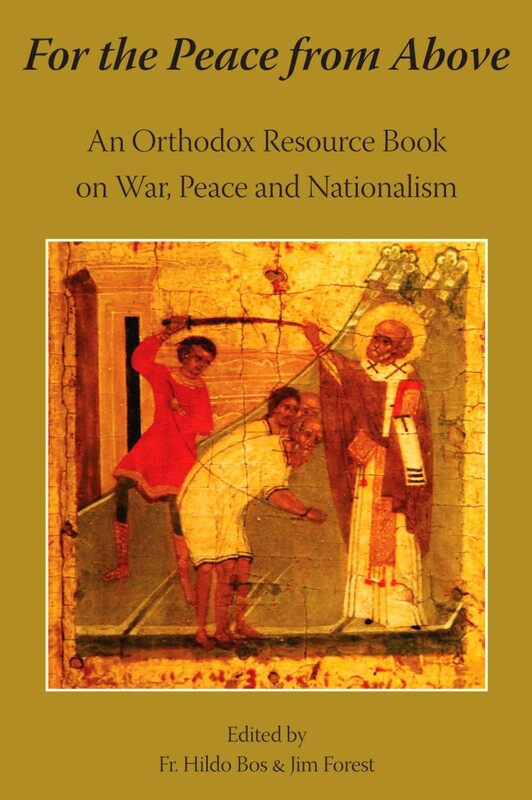 His newest book is Praying With Icons (Orbis).